If there is one media that hasn’t lost its root against the deluge of mobile and Internet, it’s definitely none other than TV. After Android and iOS, Android TV is the another big platform where consumers are spending bulk of their digital time. Despite its unprecedented reach and potential of mobilizing consumers, the world of technology hasn’t thought innovatively about ways of making the most of it. However, the apathy is not just at the end of the technology makers, but also at the end of businesses. They are scared of exploring the new platform and doubtful about the outcomes of the technology investment. Here are 5 possible ways in which businesses can take advantage of Android TV app development. The success of Amazon, Apple, Comcast, Netflix, Hulu and Vudu in the space of video-on-demand services hardly needs a testimony. Interestingly, out of the 90% of the Internet traffic that is consumed in accessing video content, a major chunk happens over mobile platforms, including smartphones and tablets. So the reach and capability of TV remain untapped. Luckily, Android TV app development paves the path to reap the benefit of the smart TV concept. Hence, for entertainment or media publishing companies, it’s the time to invest in building user-friendly Android TV apps. However, a synergy must exist in terms of delivering a cross-device user experience, - means, a user who is watching a program on his or her tablet screen must not feel disconnected while switching to the bigger screen, i.e. TV. Online entertainment or gaming is an ever growing industry. However, the game publishers have paid little attention towards this big screen. Most of them are contented with entertaining users on smartphones and tablets. There are two major obstacles in harnessing the big screen capability. First, the publishers lack the much-required will-power to experiment with something new. Second, technology companies, or particularly, the game developers don’t consider themselves as matured enough to create apps for the giant Android TV platform. Educational institutions have been taking advantage of the web and mobile technologies to forward their business objectives, but with students and teachers getting more and more acquainted with smart TV, the time is ripe to take a big leap to the big yet smart screen. The education industry has got the tremendous potential. The worth of global e-Learning market is expected to reach $325 billion by 2025. However, to make the best of it, educational institutions need to offer their services with a difference, and Android TV app development paves the path for it. Citing the popularity of Android TV, educators and administrators should think of creating feature-rich apps for this big screen. Retail is the oldest industry to reap the benefit of the television advertisements. TV adverts help brands to create an everlasting impression of themselves in the consumer’s mind and drive their customer acquisition strategy. Now with TV getting smarter, retailers have more reasons to keep their fingers crossed. 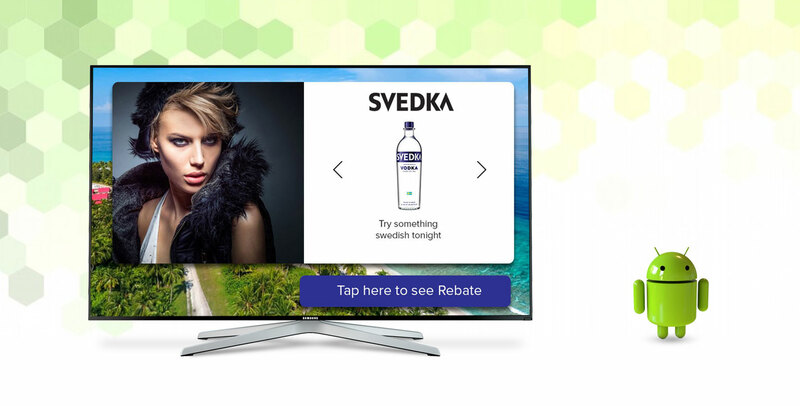 Brands are using Android TV apps to re-imagine the in-store shopping experience for their customers. Customers can interact with the brands, their products and services digitally while stepping in for shopping. They can review the constituents, prices and manufacturing details of a product before adding it to their shopping cart. Take a look at Drinxology. This Android TV app serves as the point of touch for customers. Installed at the Kiosks of franchisees of Drinxology, the app dispenses the information pertaining to the beverage products available at the store to customers, and allows them to make a purchase. Even if retailers don’t invest directly in Android TV app development, they can leverage in-app advertisements to gain the attention of their target audiences. The purchase decision-making in real estate sector is, in fact, more critical than in other sectors. The reason is obvious! Consumers often put in their best savings of life to own a house. Even if they are not the first-time buyers, they are likely to invest their money judiciously in order to make the best out of it. Resorting to Android TV app development, you can assist home or property buyers to take the more informed decision. Connecting it with virtual reality, you can make consumers to have a go through of a to-be project. Moreover, they can customize the view of their home or property. In this way, you can augment or optimize their buying experience. While creating Android TV app, a subtle attention must be given towards delivering a consistent brand experience to consumers across different channels. The consumers should feel connected with the brand while switching from phone or tablet to TV, or vice versa.